Antarctica is not so balanced as it might appear on the maps. East Antarctica is old, consisting probably of cratons and Proterozoic orogenic domains whiles West Antarctica is much younger, thinner and have mostly been accreted during the formation of Gondwana (See e.g Boger 2011). 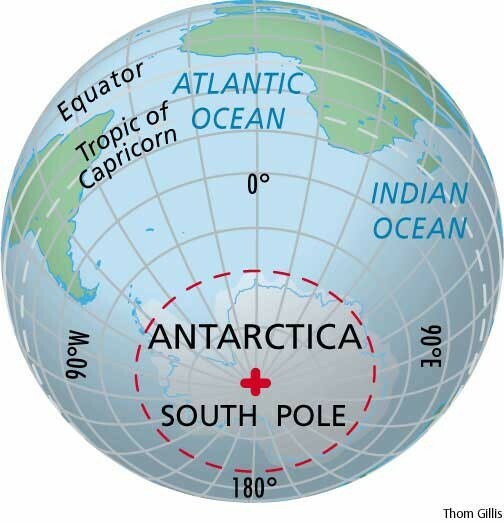 If there was a direct control of the location of the continents from the rotation, one would expect East Antarctica to be centered rather than the whole landmass as it appears today, moreover one would expect a similar continent, resting at the North Pole. However, Antarctica have been relatively stable, at least for the last 200My. The breakup of Gondwana could partly be simplified as one continent after the other radiating away from Antarctica, that mostly stayed in the same latitudes (See e.g Torsvik et al. 2010). Today Antarctica has relatively low tectonic activity and little continental drift, mostly a rotational component. My personal believe is that astronomic potential fields, as gravitational tidal forces, might become a more important parameter in future for mantle dynamic models and maybe even some tectonic mechanisms, but I might be wrong and studies so far (e.g. this) have not shown good evidences and didn't attract much attention. Not the answer you're looking for? Browse other questions tagged earth-rotation tectonics antarctic or ask your own question. Does the geographic North Pole move? Considering how old the Antarctic ice cover is, why isn't it much thicker?